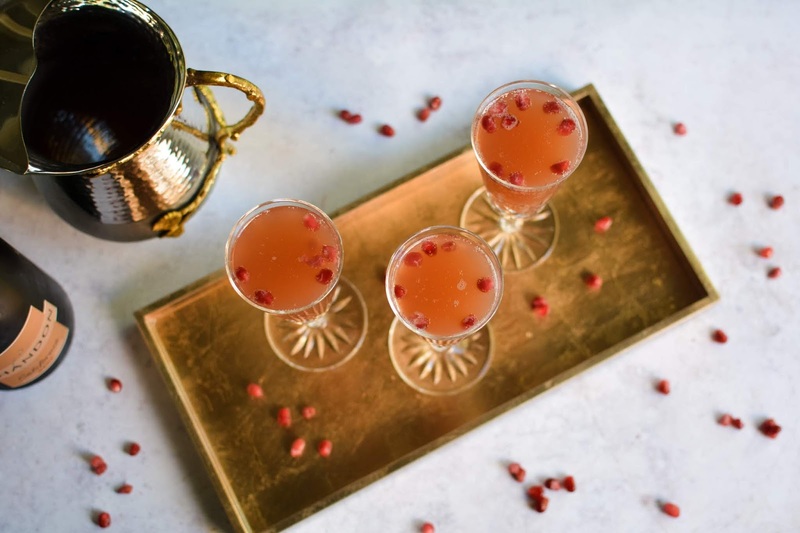 In a pitcher, combine the apple cider and pomegranate juice. Chill until ready to serve. 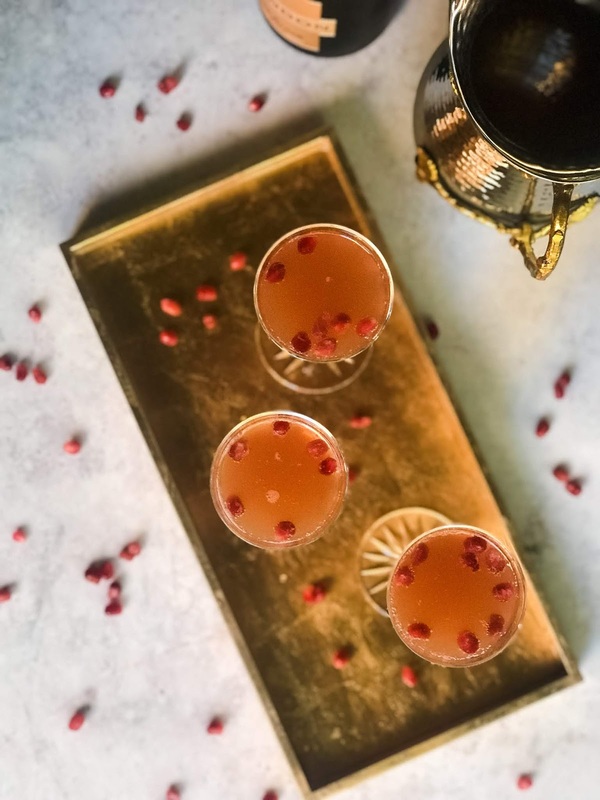 When you are ready to serve, place a few arils in the bottom of a champagne glass. 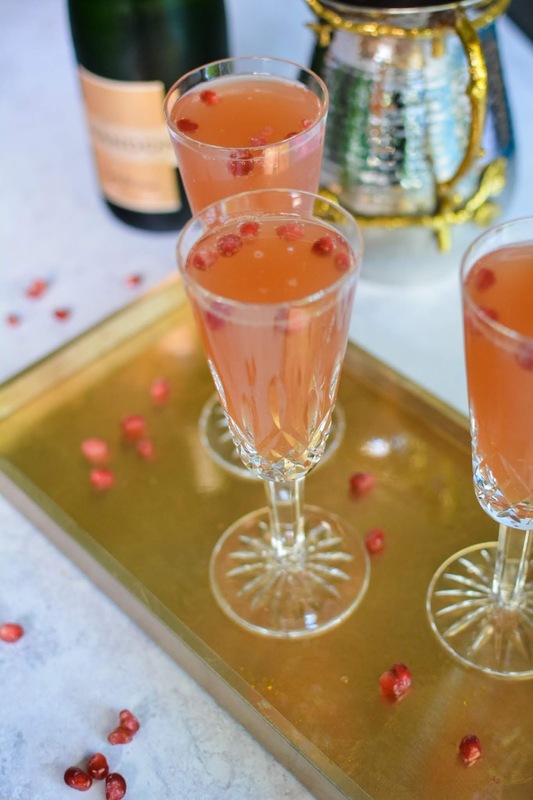 Next, add the apple cider pomegranate juice into a champagne flute filling 2/3 of the glass. Top with champagne.